I have loved Greek mythology ever since eighth grade when my language arts teacher conducted a nine-week-long Greek mythology unit. I was fascinated with the gods and their antics! A man who eats his own children and then regurgitates them years later? (Cronus) Siblings who marry? 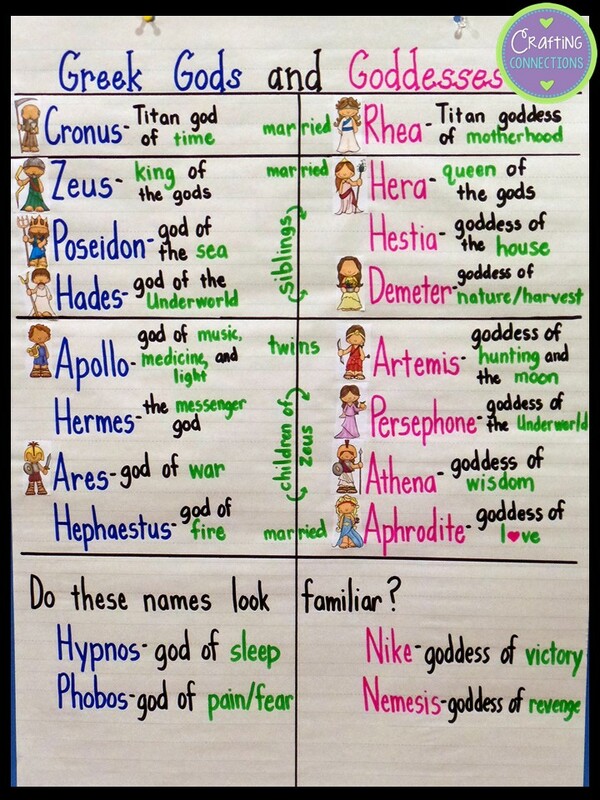 (Zeus & Hera and Aphrodite & Hephaestus are just a couple!) A daughter who is born by springing forth from her father's forehead fully clad with armor? (Athena) These ancient stories were unlike anything I had ever read before and I was enthralled. Fast forward thirty-ish years... and I'm still captivated by Greek mythology! I have found that students still really enjoy mythology! However, keeping all the gods and goddesses straight can be challenging. Enter... my anchor chart for this week! 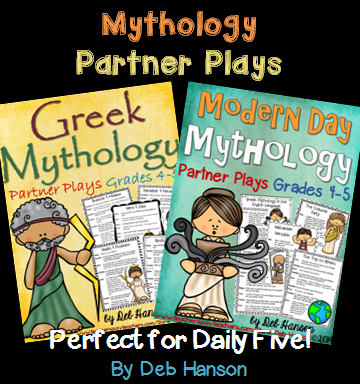 Click HERE to take a closer look at the Greek Mythology Partner Plays. To take a closer look at the Modern Day Mythology Partner Plays, click HERE. Last week I decided to write a brand-new FREE partner play script to accompany this blog post! Please feel free to download it and use it with your students! For those of you who facilitate a large Greek mythology unit, I encourage you to check out my friend, Dawn's, TpT store (Purple Palmetto)! She has created 27 different Greek mythology items, including Bingo, "I have... Who has...? ", trading cards, task cards, tests, and more! 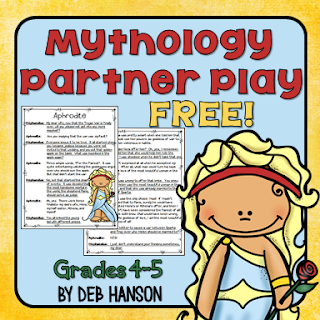 Nicole Shelby also has created four fantastic Greek mythology resources! My students are completely into Greek Mythology this year. Thank you for sharing them on Freebie Friday. 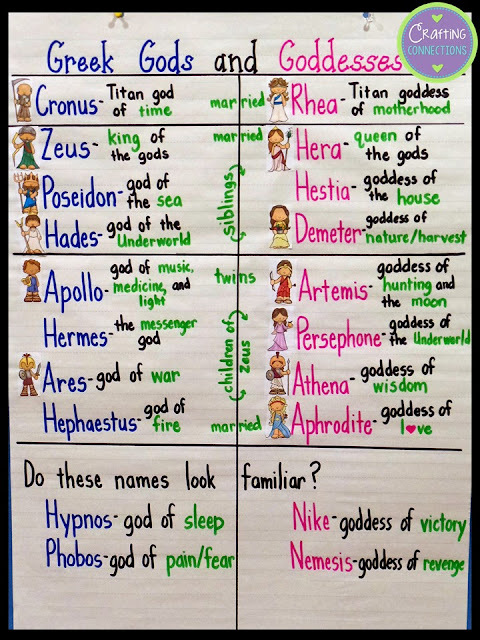 Love your anchor chart on the Greek Gods! Thanks for sharing!